Wharf Chambers, Leeds, Friday, 23 March, 2018. 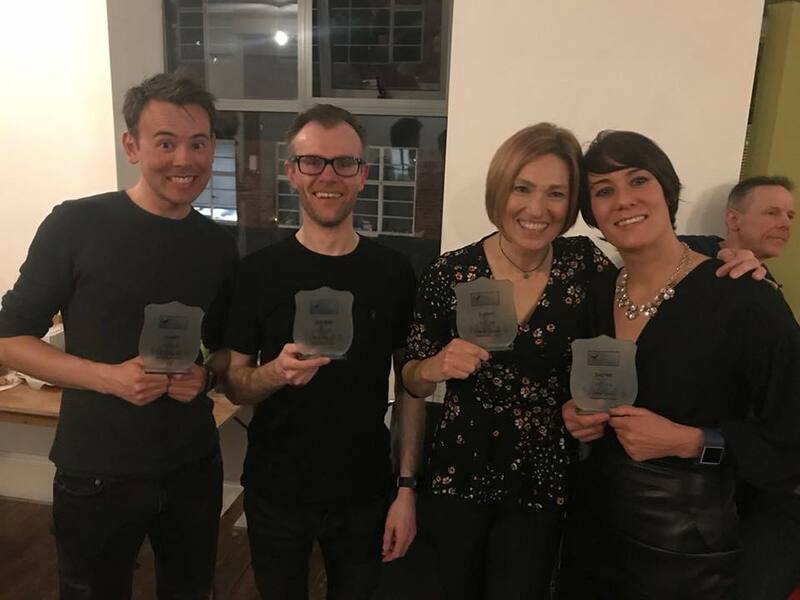 Four of our Pumas were among the honours when the West Yorkshire Winter League held its Presentation Night at the Wharf Chambers, Leeds on Friday evening. Pumas and Proud. Showing off their gongs are, from left, Tim Brook, Rick Ralph, Diane Cooper and Jane Cole. Congratulations to all of you, and here’s to next year!